Frederick Innovative Technology Center, Inc. (FITCI) has been awarded the TEDCO funded, and Maryland Business Incubation Association (MBIA) administered, Incubator Business Assistance Grant (IBAG). The IBAG grant was awarded in the full requested amount of $10,000.00, and will be used to support FITCI’s members with grant writing projects. FITCI was awarded this grant in 2017 as well, and the funds were utilized by seven of our clients; Ductoad, NanoBioFab, MESA, Integrated Pharma Services, Phycin, Theradaptive and HBVTech. Our clients contacted several professional grant writers and were assisted with their applications for a variety of biotech grants. We are hoping to use this year’s funds to support the companies that are applying for not only biotech but also technology based grants. TEDCO provides resources and connections that early stage technology and life sciences companies need to thrive in Maryland, with a mission to enhance economic development growth through the fostering of an inclusive entrepreneurial and innovation ecosystem. 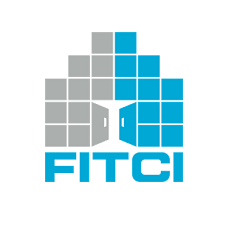 FITCI is very appreciative of TEDCO and MBIA’s continuous investment in the entrepreneurial culture in the state of Maryland, and specifically, for providing this great opportunity to FITCI’s clients.